Charles finds himself uncharacteristically employed in a film, having landed the part of Szabec, a middle management vampire in The Wreathing. His co-star is swimwear model turned actress Jodie Ricks and before long, Jodie is using Charles as a confidant. Poor Jodie is in terrible trouble - not only is she being blackmailed over some compromising photos, but she is also carrying the baby of the film's producer, Elliot Roth, who now wants nothing to do with her. Then things take an even nastier turn when it appears that someone is trying to kill Jodie. 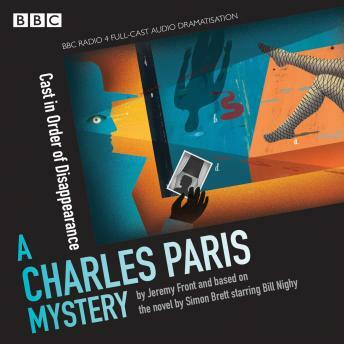 Always keen to help a damsel in distress, Charles sets about trying to solve the mystery... Starring Bill Nighy and Martine McCutcheon and dramatised by Jeremy Front. Written by Jeremy Front, based on the novel by Simon Brett.